Previously limited to our Pro members, video on Flickr is now available for all. 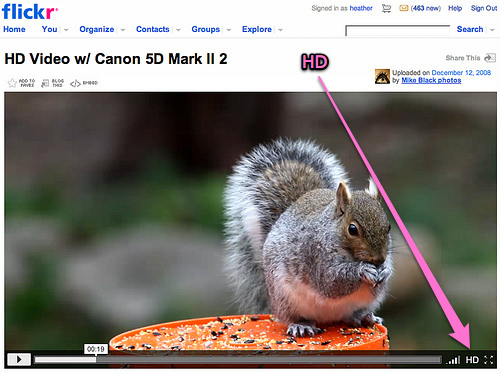 Our free account members can now share 2 videos a month (you’ll need to install Uploadr version 3.1.4 — now available from the Flickr Tools page). So, this is a perfect time for you to check out video mode on your camera. So, fire up those Zi6’s and get shooting. Here’s an example video.